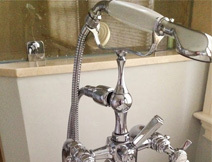 Carmark offers quality plumbing repair services at an affordable price. Qualified water and gas plumber covers local homes and businesses in Marshfield, Pembroke, Duxbury, Plymouth, Hanover, Weymouth and Kingston area. Please take a look at some of the plumbing and heating services we offer. If you do not see what you're looking for, please contact us. We would love to hear from you. Carmark offers quality plumbing at an affordable price. Please take a look at some of the services we offer. If you do not see what you're looking for, please contact us. We would love to hear from you. 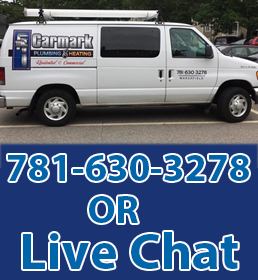 Carmark Plumbing and Heating in Marshfield offers prompt reliable service for the South Shore and its communities. We are a full service plumbing company that covers water and gas plumbing systems, install and repair services for your home and business. From kitchen plumbing to bathroom remodel to poolside retreats. We have you covered with affordable plumbing solutions. Carmark Plumbing works with many high quality products, such as Grohe, Kohler, Delta, American Standard and Symmons. We are water and drain experts. We specialize in kitchen upgrades and bathroom remodels, from relocating water lines to installing pot filler sinks to master bathroom suites. We offer a range of water saving ideas, shower heads to low flow toilets, Carmark Plumbing will help you save money. 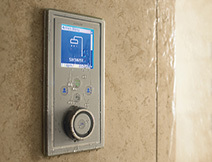 Carmark will convert your bathroom into an amazing spa from todays leading digital bathroom products. Choosing the right qualified plumber for todays new digital shower systems is important in order to maintain the right water pressure. Whether it's fixing an overflowing toilet, repairing leaking pipes, unclogging drains, installing sinks, repairing showers, garbage disposals, or installing a new water heater, all work a satisfaction guarantee! 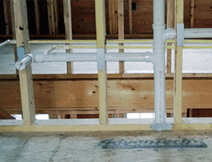 Jamie Carmark specializes in gas pipe relocation and installation. Running water lines or gas pipes in or around your property is just a call a way. 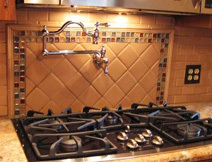 Run a line to the garage for a utility sink or a gas hot air heater. Relocating sewer pipes and gas lines should only be completed by an experienced trained licenced plumber.